Can the World Really Go Vegetarian? To go vegetarian is no easy task. For people who are used to the savoury taste of fish, beef, chicken, pork and all the other kinds of meat, switching to a vegetarian diet may not sound that enticing. For full pledged vegetarians, the transition is not that easy, but they sure find it life changing. So when asked “what would happen if the world went vegetarian” a mix of response from different people is expected. ASAP Science cleverly presented their take on vegetarianism by providing a well-researched projective video on what could happen to the world if everyone was brave enough to ditch their meat eating habits for something greener and fiber rich. Like in any healthy argument, ASAP Science was able to produce a good balance of discussion about the positive and negative things that could happen. For the advantages, they talked about the ability of vegetarianism to decrease the amount of water used in food production. Around 70% of the freshwater in the world is used for agriculture. According to ASAPScience, it takes 15,000L of water to produce a kilo of beef and 4000L for chicken and 6000L for pork. Veggies on the other hand, require smaller amount of water as compared to meat, so this could mean saving more water for other important needs. As we all know, water shortage is a major world problem, most especially in highly populated countries, and underdeveloped places. The video also mentioned that if the world becomes vegetarian, there would be more farming area where trees, shrubs, and crops can be grown by farmers. According to the statistics they have presented, up to 12.9 million square miles of land is used to grow animals. Apart from this, there is also a large fraction of land used to grow the crops used to feed the animals. ASAP Science says that the total land area that could be turned into agriculture land is as big as Africa. The last interesting point they had, was about greenhouse gases and climate change. What’s Your Impact has shown that 27% of human contributed methane comes from livestock. According to ASAP Science, the methane production of farm animalsis way more than that of all the vehicles combined. Apart from the large amount of methane that livestock contributes, US EPA says that methane has a shorter lifespan, but it can trap more heat as compared to carbon dioxide. Furthermore, US EPA extends that methane can affect climate change 25 times worse than carbon dioxide in a span of 100 years. 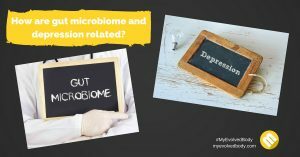 The discussion on the positive effects in the video was very interesting as they gave key information that could convince people to consider the idea of going vegetarian. With a scheme as large as converting everyone into a vegetarian, you would, of course, expect that there are major setbacks waiting ahead. ASAP Science did not fail to mention that a large fraction of the global population depends a lot on their farmlands and farm animals for their livelihood. In the US alone, over 22 million people depend on farming as their source of income. Other countries that are dependent on agriculture can also be largely affected. 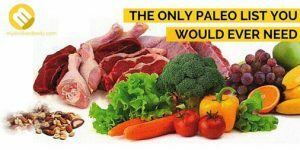 This suggests that if meat is removed from the picture, a lot of people would be jobless. In addition to the potential people who will be jobless in the agricultural industry, there would also be a lot of other industries affected. Companies that produce animal based products like lipsticks, shoes, leather bags, soap, and detergent will be among the hard-hit. Can you imagine the world without these products? ASAP Science presents these two very strong arguments throughout the video. However, if you will look closely into both of these points, you can definitely see that there are alternatives that the world can go with. For the first problem, the jobless people can eventually try other careers that are in line with the shift in the world’s diet. Given that the food supply would be largely dependent on vegetables and other vegetarian products, there would be millions of job openings in farmlands to tend crops, and in food processing zones to process the different food items. This will also usher in the development of various sectors such as the food science and technology industry. This will be much needed in order to come up with food products that will address the nutrition issues of a vegetarian diet. Vegetables and most of the vegetarian products are packed with a number of essential vitamins and minerals that are needed by the body but, they often lack important nutrients like B12. This mineral plays a significant role in the formation of red blood cells and in maintaining the normal function of the central nervous system. Other than B12, you can also expect that you will also be deficient in iron. This is a type of iron that the body can easily absorb. This form of iron is mostly present in meat. The agricultural and biological science community would also largely benefit from this because there would be a greater need to come up with farming techniques that will give higher yields in a specific period of time. 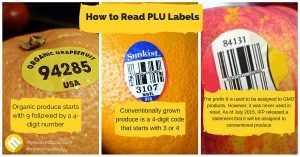 This could bring about the use of more GMO in farming to keep up with the food demand. Genetically Modified Crops are seen to provide higher yield but not a lot of people are a fan of this agro-technology. In fact, there are numerous studies that point out the adverse effects of GMO. An example of which is the study that the Institute of Responsible Technology has released. The study focused on the relationship between Gluten Disorders like celiac disease to that of the ingestion of GMO. Other studies involve looking at the possible link between GMO and formation of rat tumors. Apart from the foreseen rise of the GMO industry, there are also other interesting and sustainable farming options that can be improved and used widely, like that of the vertical farming. Today, there are projects done like the CityFarm Project of the Massachusetts Institute of Technology (MIT) that involves the study of using vertical farming indoors. Researchers are also exploring more on the use of aquaponics and hydroponics as potential ways to grow crops. If the world becomes vegetarian then there will be more reasons for these industries to improve and expand. The second problem on the other hand can be solved by creating vegetarian alternatives. For example,in making soap, instead of using tallow which comes from animal fat, vegetable glycerin can be used as a substitute. Vegetable glycerine is widely available in the market especially in craft store and they are usually sold in blocks. Nowadays, there are a handful of glycerin soap recipe that you can use to make your own. So, in the future, if ever the world turns vegetarian you don’t really have to worry about not being able to take a bath. ASAP Science mentioned that without animals, there would also be a lack of animal hide that is used to make different items that you need everyday like shoes, wallets, and belt. Today, it might surprise you a bit but there is already a long list of Vegan Mail Order stores that manufactures non-leather goods. So this is not such a big problem after all. Besides, the production of non leather items is more cost efficient. 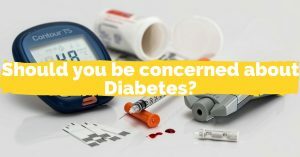 Although the first two negative effects that they pointed out can be disputed, the last effect they discussed is a tough one to challenge. In the video, they stated that turning the world vegetarian will not happen with the snap of a finger. It is a gradual and long enduring process to help people get accustomed to the changes in their diet. They explained that certain food items would be changed gradually until every food item served is vegetarian. As mentioned earlier, this can also present potential health risks because of nutrient deficiency. The American Journal of Clinical Nutrition published a study by Winston J. Craig, about the health effects of vegetarian diet. In the study, Craig explains that vegetarian diet has gained popularity because of the numerous health benefits that it can give. These benefits are strongly associated to its high fibre content, vitamins C and E, magnesium, folic acid, phytochemicals, and potassium. However, while a vegetarian diet can contribute these nutrients, it contains lesser calories. It can also be observed that individuals who are committed to a vegetarian diet most likely suffer from Vitamin B12, Vitamin D, Omega 3, Heme Iron and Calcium deficiency. ASAP Science did a 21-day vegetarian experiment where they committed to eating nothing but vegetables and eggs. While they were able to come up with interesting and colourful dishes to enjoy, they weren’t very comfortable during the process. They also complained about the lack of energy that they felt all throughout the entire experiment. In fact the woman in the video shared that she had to take supplements to feel a bit better. They indirectly suggested that eating a vegetarian diet is more common in countries that are less fortunate. According to ASAP Science countries like China and India are slowly shifting to a more carnivorous diet because people there are economically thriving. But, while there are countries shifting to a more meaty diet, there are also countries that are now adapting to the vegetarian diet like Spain, where a lot of people are die-hard meat lovers, UK which claims that 1 out of 8 people are now turning to vegan or vegetarian and Israel which currently has 300,000 vegans and vegetarian in their country. Other places like Canada, Germany, Sweden, and the US. Final Verdict: Should the world go vegetarian? Given all of the facts presented by ASAP Science and weighing in other important consideration like food culture, turning everyone into vegetarians might seem like a far-fetched idea. 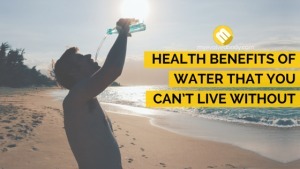 Although it would be impressive to have everyone switch to healthier options and save the world while doing so, there are so many other factors that are in play. Apart from this, turning into a vegetarian is not a very simple task which is why turning the world into vegetarian might also be such a daunting task. It takes a lot of planning and plenty of adjustments especially with one’s diet. 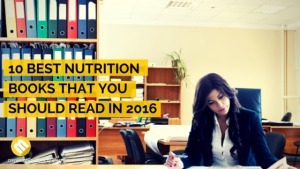 Getting the proper nutrition is among the biggest hurdles. ASAP Science has shown how they struggled during their 21 day vegetarian challenge. 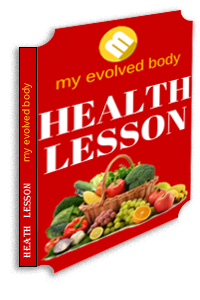 They suffered from low energy and fatigue because the food they had didn’t contain all the nutrients that the body needs. If you’re planning to become a vegetarian, you should check out nutrition blogs, and the best nutrition books available to serve as your guide. 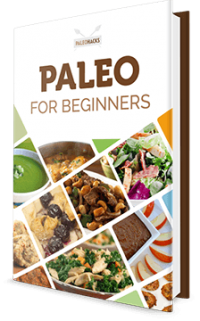 You can also try paleo-diet as an alternative to a vegetarian diet. What are the main sources of methane emissions? What Happens When the World Goes Vegetarian? 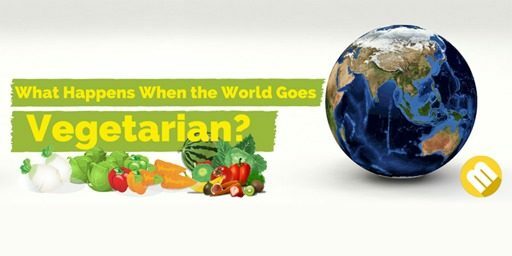 What if the world go vegetarian? Here's an analysis and projection of the possibilities if everyone would try to be a vegetarian.